Completed in 1931, the Old Beach Road Police Station was built to combat the rise in the crime, particularly in the city area, as well as to meet the needs of a rising population. 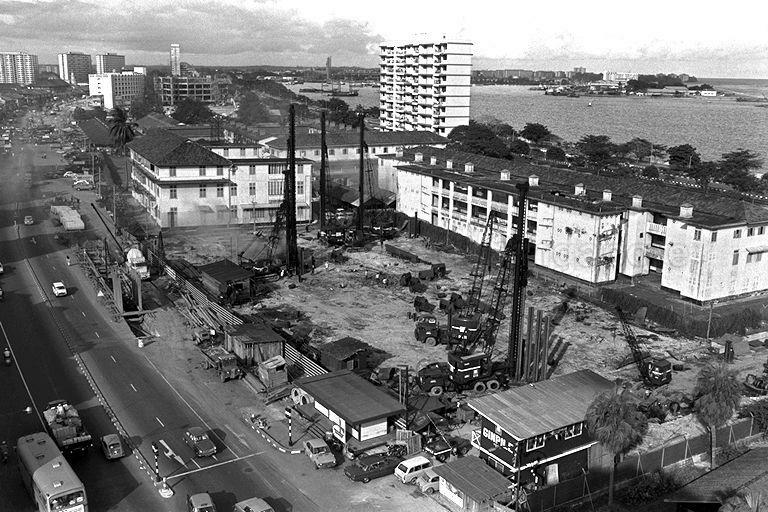 Together with other prominent Police Stations located in the vicinity such as the Old Hill Street and Tanjong Pagar Police stations, the concentration and proximity enabled the Singapore Police Force to work closely to maintain law and order in the city. 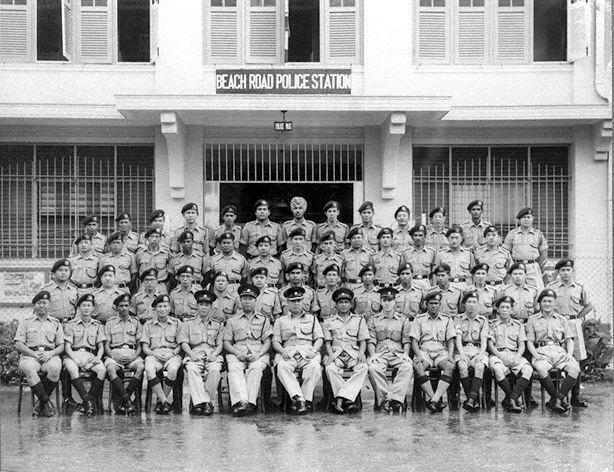 Officers posing outside the old Beach Road Police Station. Image from National Archives of Singapore. During the Japanese Occupation, the Beach Road Police Station was used as a holding centre for Jews, Chinese and Indians before they were sent to Changi Prison. After the war, it was briefly used as an evacuation centre for the general population before it added on 48 more quarters as part of the expansion of the police force. Trivial matters like theft and recovering lost items aside, the police officers at the station would frequently be called to handle road disputes as the Old Satay Club, and more importantly, were part of nation-wide operations that included the Maria Hertogh Riot in 1950. 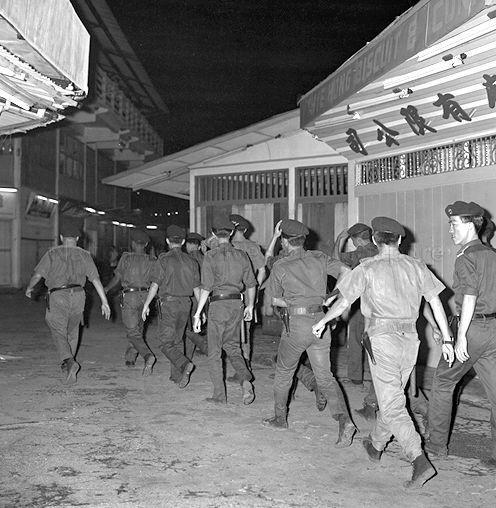 Officers from the Old Beach Road Police Station enter Gay World Stadium in response to a Barisan Socialis screening of ‘Aid to Vietnam’. Image from Singapore Press Holdings. An aerial view of the Old Beach Road Police Station. Image from Singapore Press Holdings. The Old Beach Road Police Station typifies the style of colonial buildings constructed during that period. Shaped like a colonial-style bungalow, it stood three-storeys high and was made mainly of mason stone. Other attributes included high ceilings with spacious corridors, and open-air courtyards for training and recreational purposes. It was also one of the first large-scale buildings that were built upon the reclaimed Beach Road area done back in 1843. 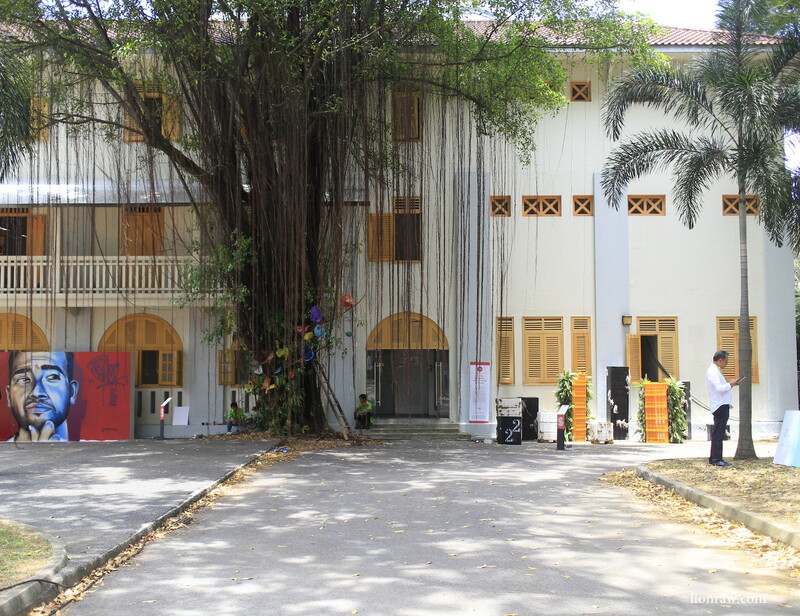 The station officially ceased operations in 2001 and was marked as a conservation and historic site in 2003, the same year that the Raffles Design Institute took over the premises and coated it with a bright new orange paint. From 10 – 15 Mar 2015, it also became home to SINGAPLURAL 2015, a design showcase and anchor event of the Singapore Design Week. 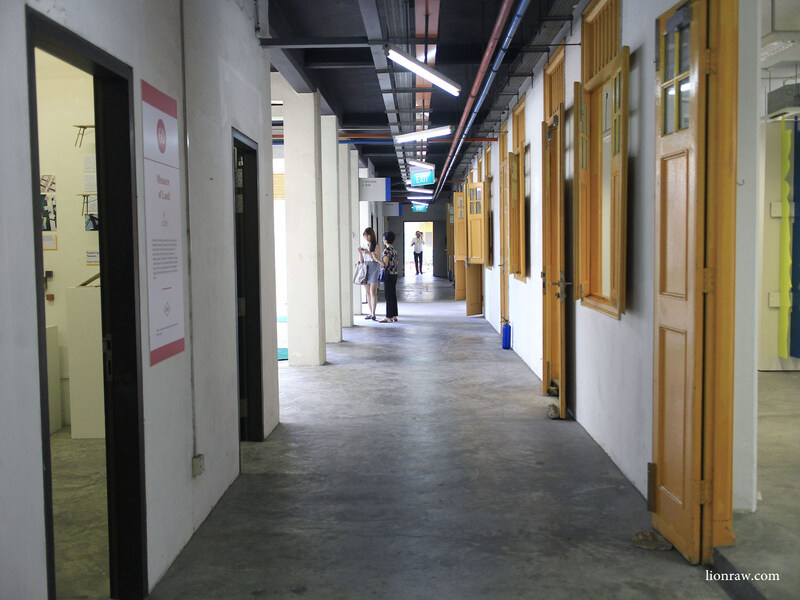 Courtyards once used for exercise drills were transformed into outdoor exhibition spaces, while the quarters and offices hosted uniquely crafted elements of design that ranged from fashion, architecture and even scent mapping, a testament as to how far design has developed in Singapore over the years. In November 2014, the Urban Redevelopment Authority set aside the building for future redevelopment. Thankfully it has enforced a strict restoration and conservation stipulation to any interested developers, ensuring that this historic site continues to have a future. 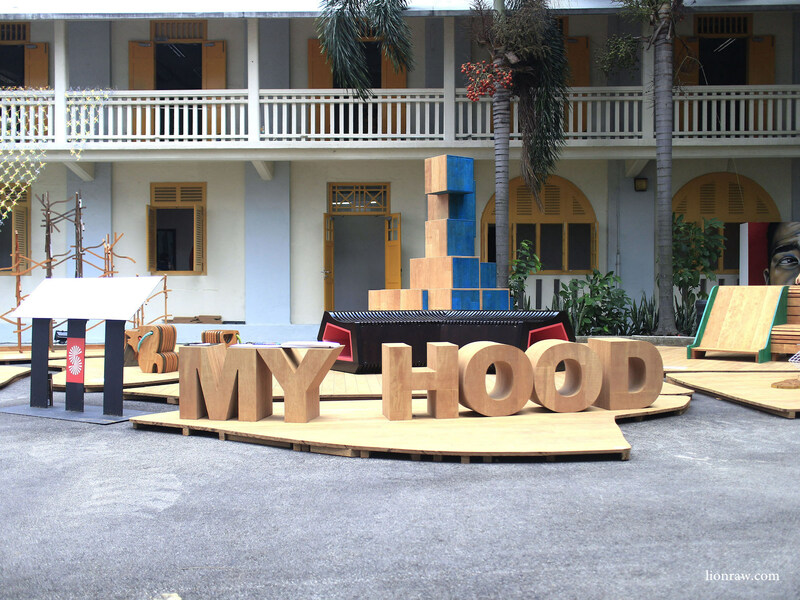 An installation titled My Hood has designs inspired by everyday happenings around the neighbourhood such as the Dragon Playground and Kampong Animals from Sembawang. A raintree becomes a source of a design installation with the Old Beach Road Police Station in the background. 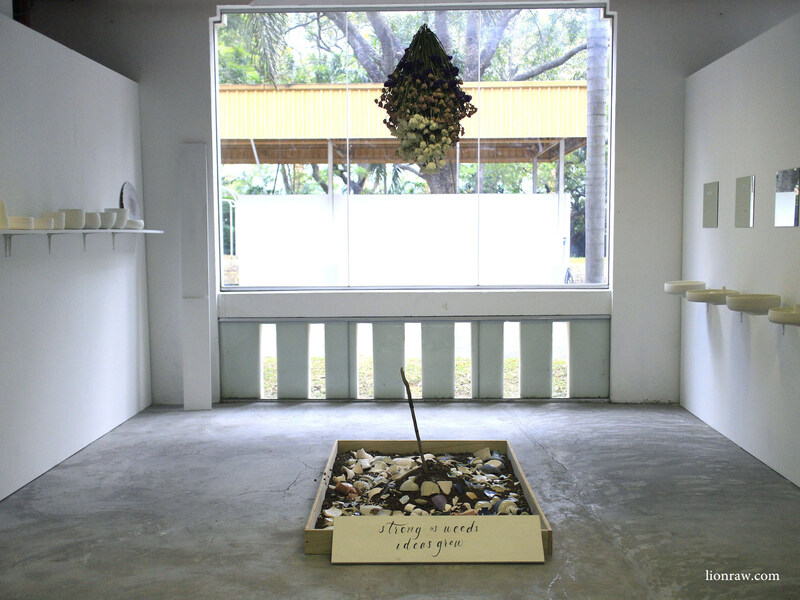 An installation titled Clayground housed in one of the former offices.